A new Arduino project has been unveiled this week by Felix Ros created as part of his master’s studies at Eindhoven University and taking the form of a haptic drawing interface that uses a five-bar linkage system enabling users to draw with one finger and receive feedback from a pair of rotary outputs. 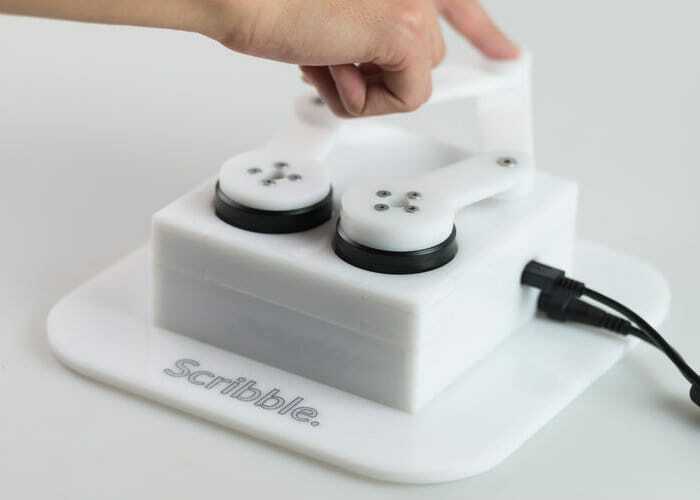 Scribble is powered by an Arduino Due to communicate with a computer, running software written in OpenFrameworks. Check out the demonstration video below to learn more about the unique Arduino project. If you are interested in building your very own you can learn more about the project as well as download all the code required directly from the Instructables project page kindly created by Felix, who explains a little more about the inspiration behind the project. If you’re interested in more Arduino projects our DIY Arduino wind speed meter might be worth more investigation. Or if you enjoy building Pi projects you might be interested in our comprehensive list of Raspberry Pi displays, HATS and small screens.